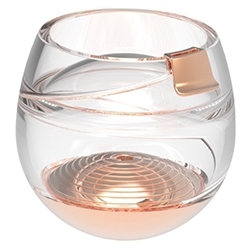 VIDEOBallantine and Open Space Agency (OSA) designed a 3D printed zero gravity 'space glass' for whisky! The videos and ideas are so fun - maybe i'll have a dram in space in my lifetime. 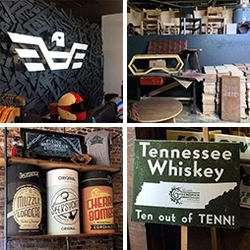 FEATUREDNASHVILLE, TN is changing SO fast, that as frequently as we pop over there, there's always so much newness! 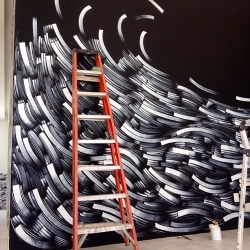 See everything from coffee soda and the new amphitheater to stunning murals, workshop/studios, and more! 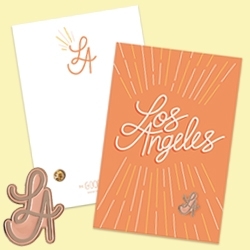 VIDEOCalifornia Inspires Me: Rashida Jones by Jack Cunningham. 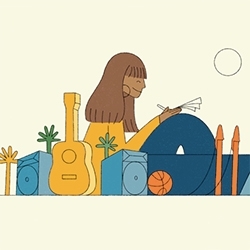 A beautifully animated piece looking at 70's socal life! 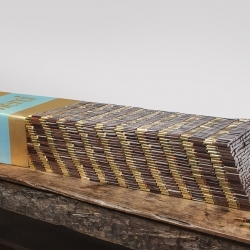 Worlds biggest Merci chocolate, created by Friendship Antwerp. 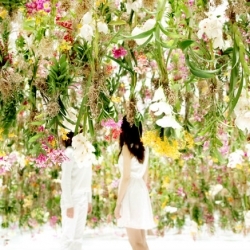 Floating Flower Garden from Maison&Objet 2015! 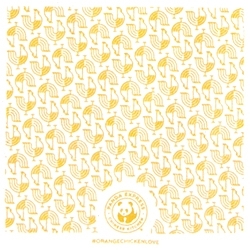 Panda Express "Orange Chicken Love" campaign (complete with food truck) has some interesting swag. 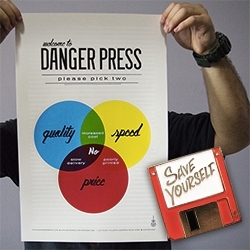 Nice graphics on tees, totes, sunnies, wallpapers and more. Misc Goods Co. 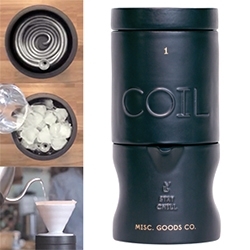 Coil Chiller - A 4 piece ceramic vessel for taking your liquid from hot to cold in minutes through a steel tube coil surrounded by ice. 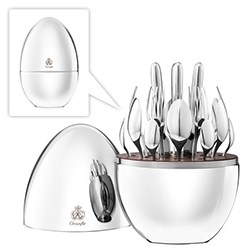 For hot coffee... or vodka or your favorite cocktail without shaking/diluting? 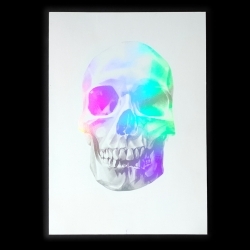 'Skull 03' is the latest print release from London based artist Von. Due to the holographic stock used the print changes colour depending on the light and position from which you look at it — from beautifully subtle tones to a trippy rainbow explosion! Thimblestump Hollow Blindbox Toys by Amanda Louise Spayd & Chris Ryniak! 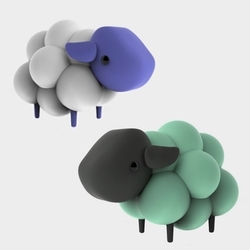 Nextbit Sheep Vinyl Toy! Even cuter than the Robin smartphone... you can get one of their vinyl sheep mascots designed by Andrew Bell of Dead Zebra. 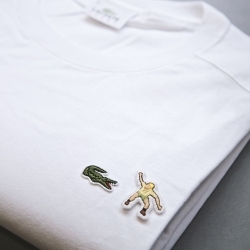 Illustrators Maricor Maricar team up with creatives Stephen Cross and Simon Connor to create ‘Graffitees’, embroidered patches that compliment and interact with famous clothing logos. 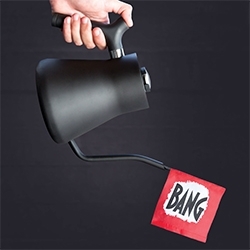 Stagg Pour-Over Kettle. A slow intuitive pour, every time. It also has a built in brew-range thermometer. 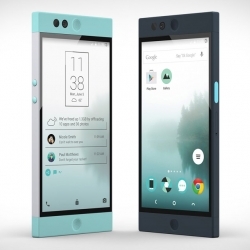 Nextbit's Robin Smartphone - a cloud-based mobile device that optimizes its storage automatically, providing 100Gb of additional storage in the cloud. 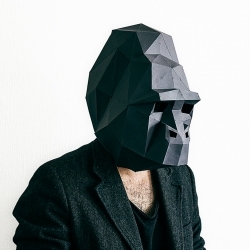 Polygon paper pattern of a Gorilla head ready to print and assemble by Awesome Patterns. 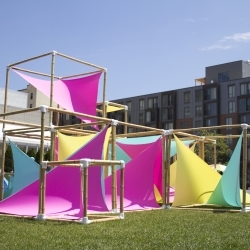 Virginia Melnyk builds a temporary playground of bamboo and fabric. Using parametric generators to organize the fabric and bamboo boxes. 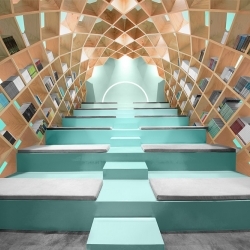 The design offers a nondescript way for children and adults alike to play, encouraging more creativity and imagination. 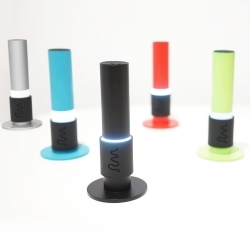 R-Cube Kaleido Torch - It can function as both a LED torch and a night-light. The user can decide how bright he wants it to shine by sliding the middle handle up and down. 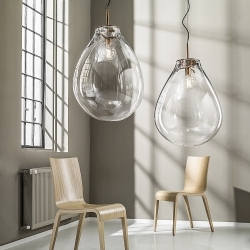 Albe designed by Dragosmotica for UBIKUBI. 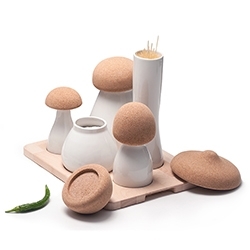 A mushroom inspired collection of homeware kitchen containers made of porcelain, cork, and beech wood. 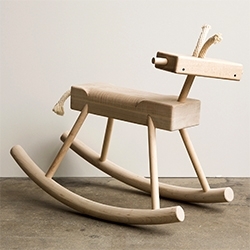 Monroe Workshop Robot Monkey Rocking Horse. Available in solid maple with a cotton rope mane and tail. Designers on Holiday. Featuring-Featuring has been hosting a holiday camp on the Swedish Island of Gotland where they invited a selection of designers from around the world to come and design and build on the site for two weeks. 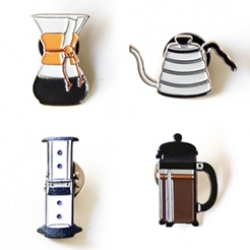 Artist Alyssa Mees just launched her shop! Some stunning prints and originals available. 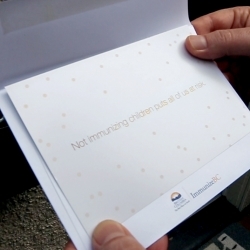 Rethink Canada created this direct mail piece for the BC provincial government's ImmunizeBC program. 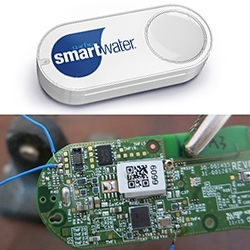 It utilizes a special UV-sensitive ink that reacts when exposed to light. The moment the recipient takes it out of the envelope, measles begin to appear. 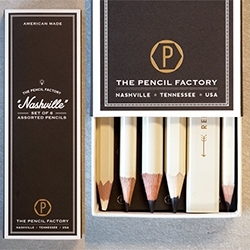 The Pencil Factory - Each "Nashville" box set comes with one carpenter, one bridge, one white wax, one no.2, one jumbo hex, and one jumbo round pencil. By Hester & Cook. Great packaging! 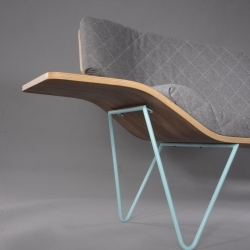 Ames Seat, a sofa with wood and steel, created by Ben Pedrick a young design student. 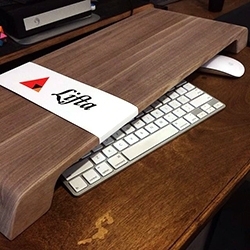 Lifta - A minimalist desk organizer designed with three goals in mind: lift your computer to the proper ergonomic height, offer a place to store peripherals, and keep your desk tidy. Available in 3 wood options. 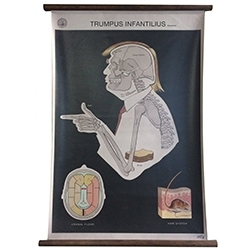 "Trumpus Infantilius" Print by Sideshow Sign Co. Nashville - The Anatomy of Trump. 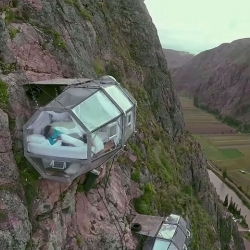 Thrill-seeking travelers can now stay in Naturavive's Skylodge, a trio of transparent pods placed 400 feet (122m) above the ground on a cliff-face in the Peruvian Andes. 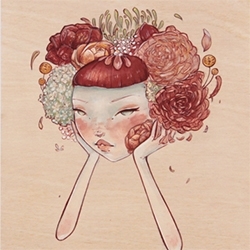 First 200 pieces of the new Momiji release by Helena Stamulak are hand-numbered on the base. A celebration of girls who skate! Collectors Cabinet for curios made with masterful coopering techniques from American Ash by Jeremy Zietz. 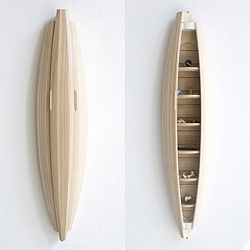 Its hull shape evokes that of travel and adventure, or appears as a bio-mimi pod of precious findings. 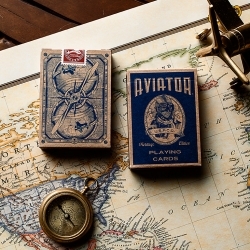 In collaboration with The United States Playing Card Company, Dan and Dave have reimagined AVIATOR® playing cards to honor Howard Hughes and his pioneering advancements in aerospace design and technology. 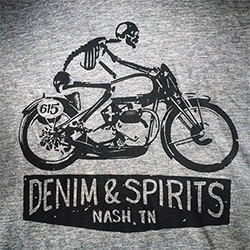 Nashville Denim & Spirits Moto tee! Great skeleton graphic on a ridiculously soft tee. 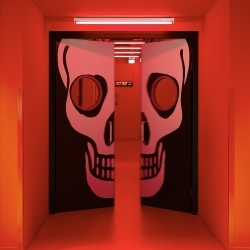 The soon to be opened Student Hotel Amsterdam city. Design by ...,staat. 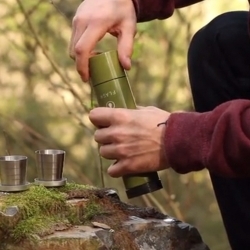 The VSSL Flask is a LED flashlight with a flask and collapsable cups in it. And thanks to a built-in compass it’s both a pick-me-up and guide-me-home. 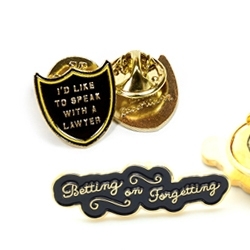 The ROLL + PIN is the pin board re-imagined. It's easy to cut into shape and features a peel-off adhesive backing, this 3-metre roll of natural cork will let you create your own unique memo board design! 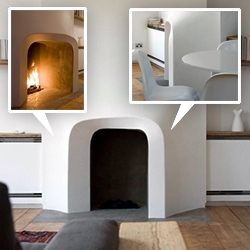 Scenario Architecture's fireplace design for a Victorian terrace home in North London is stunning - and magically one directional! 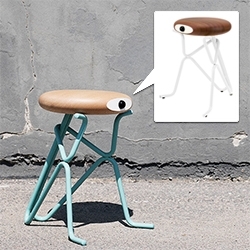 Phillip Grass Companion Stools are adorable cyclopses. 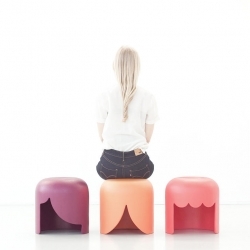 The seats are available in oak, beech and sipo mahogany. 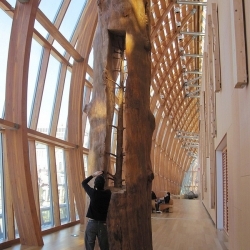 The base is made of powdercoated steel tubes. Dragon Whistle! 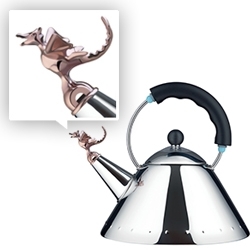 Special edition Alessi Michael Graves Bird Kettle to celebrate the 30th anniversary. 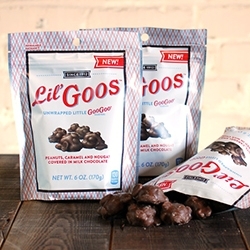 Iconic Nashville treat, Goo Goo Clusters, now come in adorable packs of Lil' Goos!